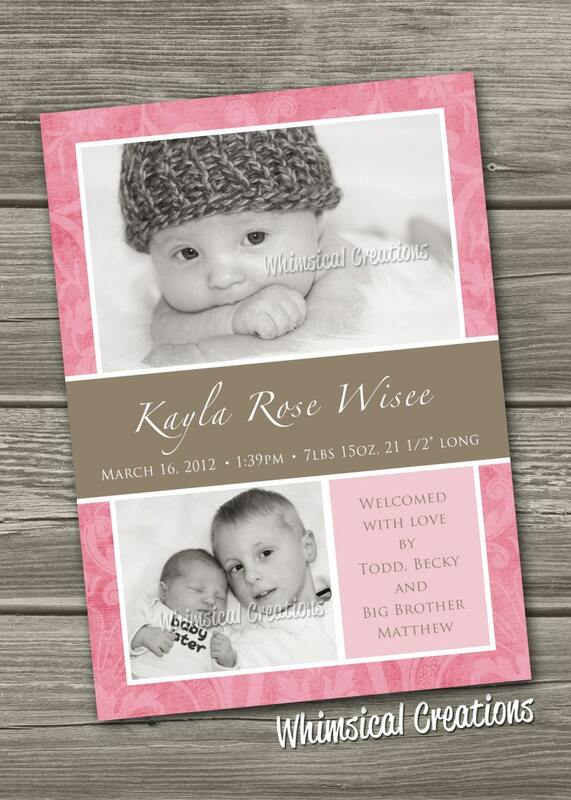 Thank you for checking out Whimsical Creations – Custom Photo Card Designs! My photo cards are totally customizable and sent to you as a digital file so you can have them printed at your local photo lab or email them to your family and friends. along with any special requests or changes you'd like made to your design. In less than 48 hours (generally way less), you will receive your proof in an email. All revisions are free of charge as we want to ensure that you are absolutely happy with your card! Once you approve the proof, you will receive the final high resolution jpeg file via email. You can then take it and email friends and family or upload the photo card to any local printer in your area for printing. In order to ensure an excellent print quality for your final product, we recommend that your photos be a minimum of 1530 x 1320 pixels (w x h). All photos should be in one of the following formats: jpg, .gif, .png, .bmp and .tiff. format. Scanned photos should be scanned at a resolution of at least 300 dpi. If for any reason, we feel your photo quality is not suitable, we will notify you and give you the option of submitting alternate photos. PLEASE NOTE: This listing is for a DIGITAL FILE ONLY and not actual printed invitations or announcement photo cards. Printing services are offered at an additional cost. After the proof is approved and printable file is received, any new changes after the fact or re-sizing will incur an additional fee.